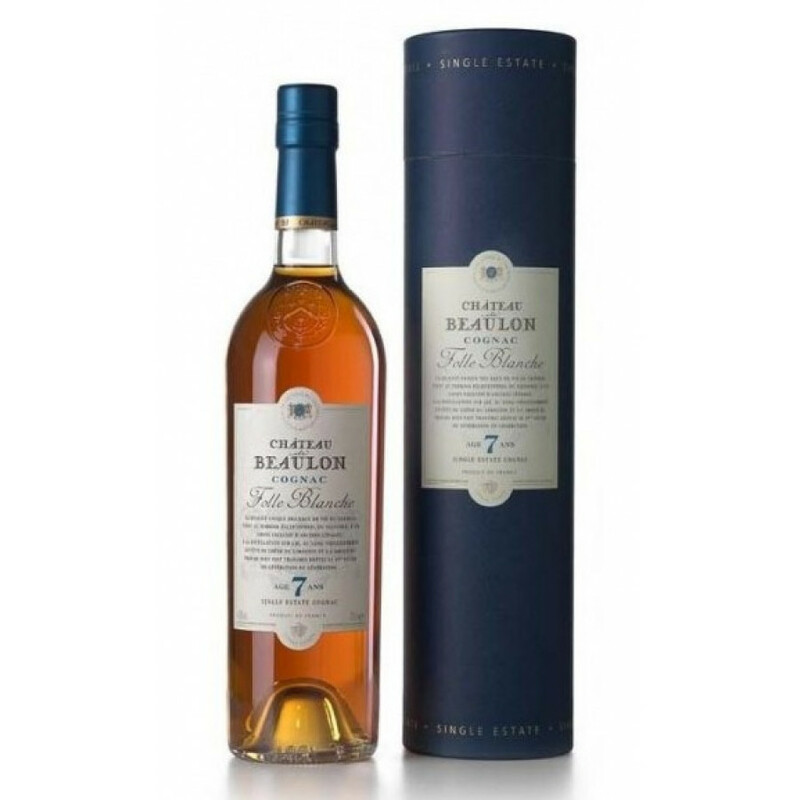 Chateau de Beaulon 7 Ans d'Age (7 years old) is a VSOP cognac that consists of eaux-de-vies that have all been aged for, as the name suggest, 7 years... This is a Folle Blanche grape product grown in the Fins Bois terroir. A lovely amber color, with glints of warm gold, this is a fruity, balanced and round cognac with a depth of character rarely found in a cognac this age. It was awarded the Silver Medal, Mondial Brussels 2001 and the Silver Trophy, Olympiades Vinexpo 2001.